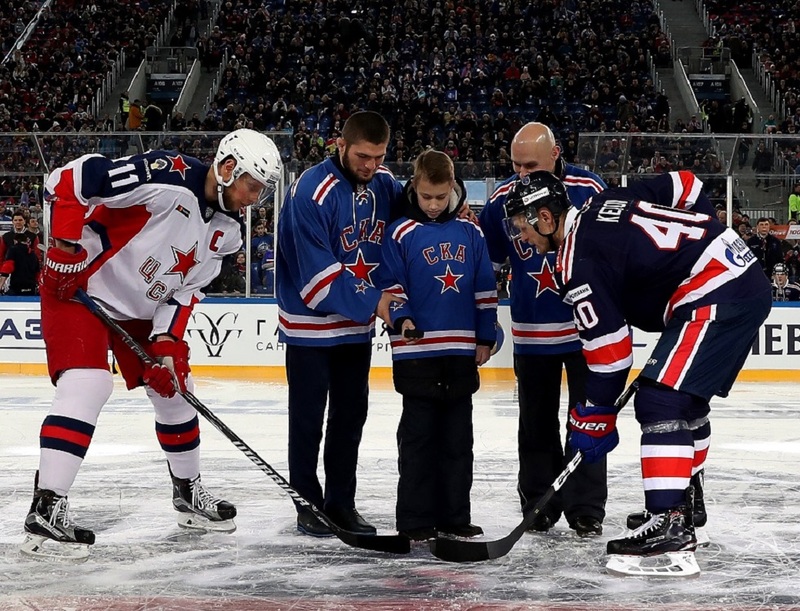 A huge crowd – 67,770 – assembled in St. Petersburg to witness the latest instalment of the SKA vs CSKA rivalry. That is, by far, a record for the KHL (the previous best, from last season’s open-air encounter between Jokerit and SKA, was 50,000 smaller) and also the biggest attendance for a club hockey game anywhere in Russia. Fittingly, the big day came on the anniversary of the first ever game day in the Soviet Hockey Championship, played on Dec. 22, 1946. The showcase game, played at Petersburg’s Gazprom Arena, highlighted how far the game has developed since those early days: today, Russia’s hockey stars are capable of taking over and filling the country’s biggest and most sophisticated soccer arenas – an almost unprecedented demonstration of the massive potential of our game. His team mate, Nikita Nesterov, another player with plenty of top level experience, was also relishing the occasion. “I’d love it if we could play every game in an arena like this,” he said. “But we have few opportunities so we really value these occasions. It would be kinda fun if they opened the roof, it would be colder and there might even be some snow. 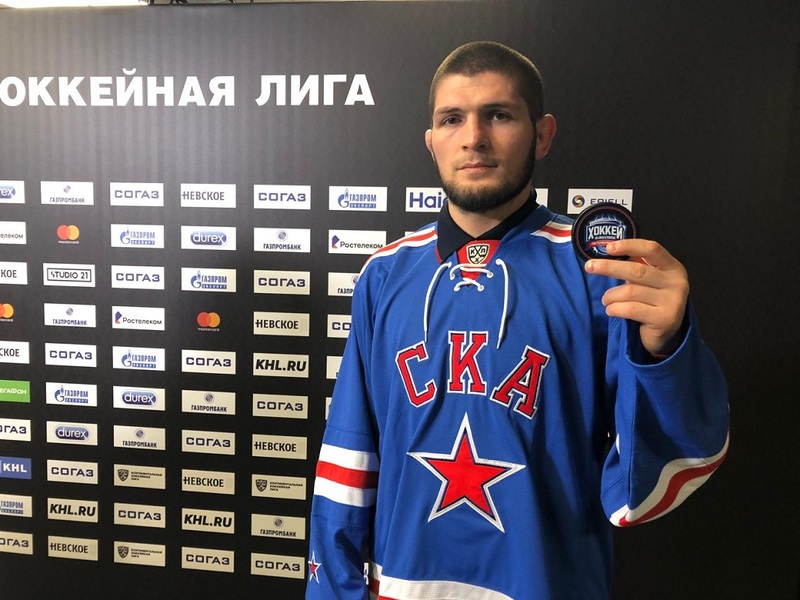 Renowned MMA fighter Khabib Nurmagomedov was the special guest for the ceremonial face-off at today’s game. In his career, he’s used to drawing huge crowds – his recent headline bout against Connor McGregor attracted 2.9 million PPV viewers on TV networks worldwide – but even he found something special on his trip to the hockey. “To be honest, I was amazed by the atmosphere,” he said. “When have we seen so many people come together to watch hockey before? I’d love to see a similar attendance coming to my fights. I think it’s a similar crowd that watches hockey and MMA, people who want to come and enjoy a spectacle. You have to be tough to play hockey, or to fight. The teams came into the game sitting proudly atop the Western Conference, with the chasing pack already receding into the distance. However, it had been a tough few days for both: CSKA’s 18-game winning streak came to an abrupt half with losses at Vityaz and Jokerit, while SKA suffered a shock reverse at home to Dinamo Riga in its previous game. So, in addition to the latest round of the ever-growing rivalry between these two big hitters, there was also a need to demonstrate that recent results were merely a wobble. The early exchanges were even, but it was CSKA that landed the first blow on 13 minutes. Linden Vey got the goal, reacted fastest after a series of ricochets put the puck in front of him. CSKA head coach Ilya Nikitin had never lost against his SKA counter part Ilya Vorobyov, and the start of their fourth clash this season suggested that his record might well continue. However, the goal was a rare moment of danger on either net: these two familiar foes produced some spectacular defense to keep the shot count down to 4-4 after 20 minutes. SKA stepped up its offense at the start of the second period and looked set to tie the game. CSKA, though, had other ideas. A breakaway released 21-year-old Pavel Karnaukhov on a rush from center ice and he calmly shot the puck beyond Magnus Hellberg for only his second goal of the season. Shortly afterwards he got into a fight with Viktor Tikhonov, and with the teams playing four-on-four, the Muscovites extended their advantage after Kirill Kaprizov outmuscled Jarno Koskiranta on the slot before converting a Mikhail Grigorenko feed. That put the game beyond the home team. SKA kept battling and got some reward late on when Nikita Gusev made it 1-3 but on the day CSKA had the edge. The visitor underlined its superiority with an empty net goal from Jannik Hansen to complete a four-game ‘regular season sweep’ of SKA in front of a record KHL crowd. Could that be an omen for the destiny of the Western Conference playoffs come the spring?